There’s no better time than right now to show off and embrace your natural hair texture. But when it comes to styling curly hair, there are so many ways to go about it and different techniques to consider. And that's not even taking your unique desires into consideration — whether you want more bounce and definition or healthy, moisturized ends. To give you some direction, we partnered with Sephora and a couple of our favorite hair pros to create this curl "glossary." Below, we break down common styling techniques — from the wash 'n' go to plopping to banding. These terms may sound like a foreign language now, but we have faith that you'll be an expert in no time. So go on, bury your blowdryer and give one (or two or three) of these a shot. The wash 'n' go is exactly what it sounds like: wearing your freshly washed hair without manipulating your curl pattern with braids, heated tools, or stretching methods. "First shampoo and condition with a deep conditioning treatment," says celebrity hairstylist Tym Wallace. Briogeo Don't Despair, Repair! 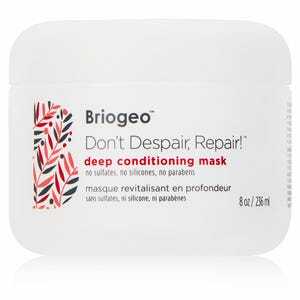 Deep Conditioning Mask features rich rosehip and almond oils that hydrate even the most damaged hair, because let's be honest, everyone could use the extra TLC. Plus, it’s so moisturizing that it’ll create smooth waves as your hair air dries. Then, apply your favorite styling products and go. If your goal is to create soft, uniform curls all over, the two-strand twist-out should be your go-to. First, lightly distribute a quarter-sized amount of gel or styling cream through very damp or wet hair with your fingers. 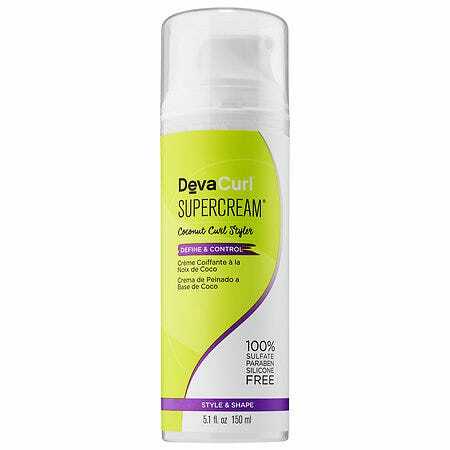 (Look for one that has moisturizing properties, like the coconut-oil-based DevaCurl SuperCream Coconut Curl Styler.) Then, part your hair into four symmetrical sections — clipping up the sections you're not working on — and twist small, 2-inch sections around one another. Be sure to use the same amount of firmness or slackness for each twist. Continue twisting each section until you've twisted all of your hair. Let your hair air dry, and then undo your twists. Finally, "use a wide-toothed comb to gently lift your roots," advises hairstylist Anu Prestonia, a natural hair expert and owner of Khamit Kinks salon in Brooklyn. "This will provide you with more volume." Banding is one of the easiest curl options because it creates stretched-out, elongated curls, with minimal damage to your hair. The best part is that elastics do all of the work for you. "Banding requires smooth, defined sections," explains Prestonia. 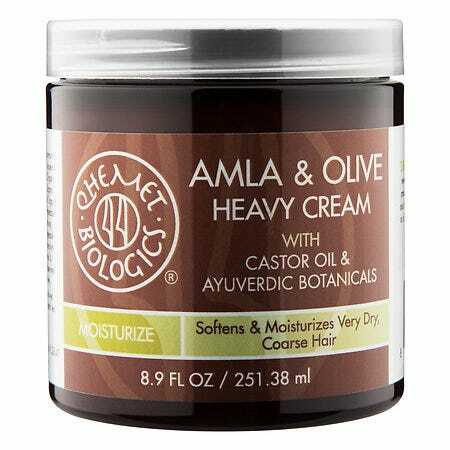 First, while your hair is damp or wet, apply an ultra-moisturizing curling cream like Qhemet Biologics Amla & Olive Heavy Cream that minimizes breakage, and use a boar-bristle brush to distribute it evenly through your hair. Gather your hair into a ponytail (or several, depending on how thick your hair is), and secure it with a cotton-covered elastic band. Then, place more bands in even intervals all the way down to the ends of your hair. Try to avoid doing this one overnight, notes Prestonia. "Wearing tight ponytails to bed can add stress to the hairline, which can damage your fine hair that grows along it," she says. If you must, though, just make sure the elastic bands near your roots have some slack. Once your hair is dry, simply take out the elastic bands and gently pull apart each section to finish the look. If you're thinking of the crisp, crunchy waves of years past, don't worry: Scrunching has come a long way since then. It's a new and improved technique that can turn loose, lifeless curls into smooth, defined waves. "This process adds texture and bounce to your waves, too," says Wallace. Here's how it's done: Shampoo as usual, and then condition using a flat, open palm to "squish" the conditioner into your hair. Rinse, and then once you're out of the shower, towel-dry your hair and gently scrunch gel into it, says Wallace, "squeezing out excess water in the process." Look for a gel formula that moisturizes, like IGK Rich Kid Coconut Oil Gel, which is infused with nourishing coconut oil for flexible hold and shiny waves. Then, continue scrunching with either your hands or a piece of soft, cotton material (like an old T-shirt) every five to 10 minutes until your hair is dry. Plopping is a relatively new process that involves bending over and gently lowering your damp hair onto a cotton T-shirt (or any soft, absorbent material) and then wrapping it up. "It soaks up excess water and enhances your natural curls," explains Wallace. Fans swear that it also cuts down on drying time and sleekly defines curls. 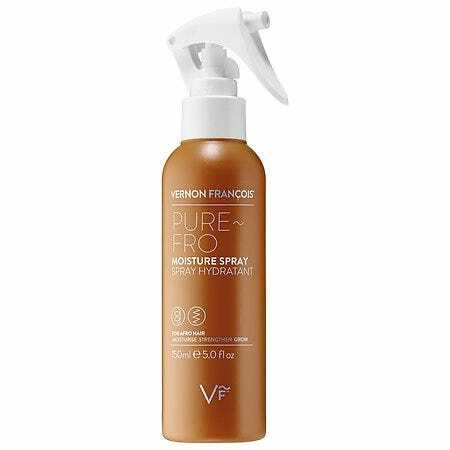 To keep the styling to a minimum, prime your damp hair with a detangling moisture spray, like Vernon François PURE~FRO Moisture Spray, prior to plopping, and brush it through with a slightly damp brush to take care of any knots. After your hair is wrapped up, wait for it to dry (this can take anywhere from 30 minutes to a couple of hours), and then release your curls and zhush up at the roots. Calling all serial procrastinators! (So basically everyone?) Pineappling is a method designed for drying your hair overnight. Through this method, "your hair stays in place [while keeping] its moisture and texture," explains Prestonia. To prep your hair, apply a defining cream from roots to ends with a formula like Bumble and bumble Bb. 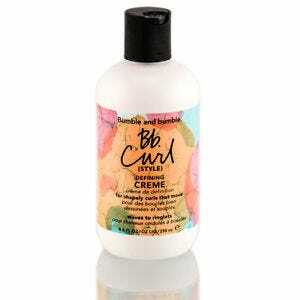 Curl (Style) Defining Creme, which both hydrates and holds without the crunch. Then, use a natural-fiber brush to distribute the cream evenly and form one or more ponytails (depending on your hair length) at the crown of your head or higher. "This gently stretches out your curls," she says. Just make sure your ponytails aren’t too tight, which — remember — can cause breakage while you sleep, and you’ll wake up to defined, lightly stretched curls or coils. No work needed. Experimenting with your hair doesn’t have to mean ditching your curls. The braid and curl technique allows you to manipulate your curl pattern, creating deep, glamorous waves. The best part — it’s super easy considering that the magic happens while you sleep. First, "section off your hair into 3-inch sections, and braid each one, massaging in a lightweight curl cream as you go," says Wallace. "[The cream] locks in your waves." 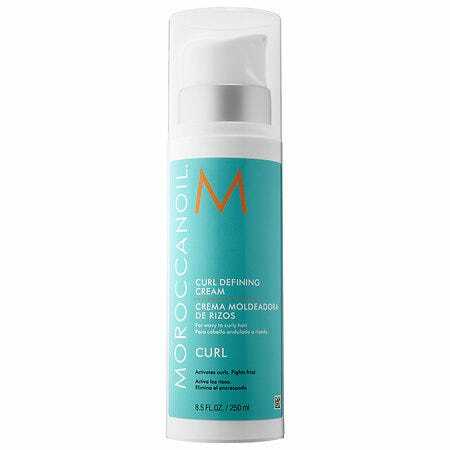 This Moroccanoil Curl Defining Cream delivers hold and added definition. Then, roll the ends of your braids around foam rollers all the way up, and cover your hair with a silk or satin cap. Sleep with them in, and in the morning — or once your hair is dry — shake out your new waves and gently pull apart each piece with your fingertips. Coarse, wiry ends are a telltale sign that you’re dealing with hair that’s dry, damaged, or both. Which is where this method comes in for the win. Sealing your ends refers to the process of adding moisture to your ends where people generally need it most. This is because the spiraled shape of naturally curly hair means that your scalp's natural oils have a longer way to travel to reach the ends of your hair shaft. To seal your hair, apply a hydrating and smoothing oil- or butter-based formula, like Madam C.J. Walker Beauty Culture Coconut & Moringa Oils Curl Whip Styling Souffle, to your ends. This sealing process "protects your hair from heat damage," says Wallace. A Curl Boss is more than just someone with curly hair. It’s someone who embraces and owns who they are and what they've got. To help you unlock your inner Curl Boss, we partnered with Sephora to bring you these four handy guides for caring for and styling wavy, curly, and coily hair. The best part? You’ll know exactly what products work for you — and your gorgeous 'do — so that you can have the vivacious, luscious curls of your dreams.